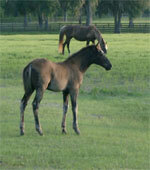 Feel free to make an appointment to see our newly arriving foals! 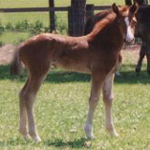 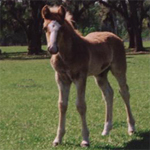 All of our Mountain Horse foals are the product of careful matching of foundation and champion bloodlines with complementary characteristics of sire and dam. 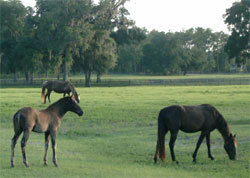 We breed for temperament, gait and color in that order. 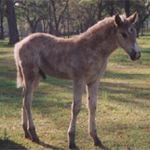 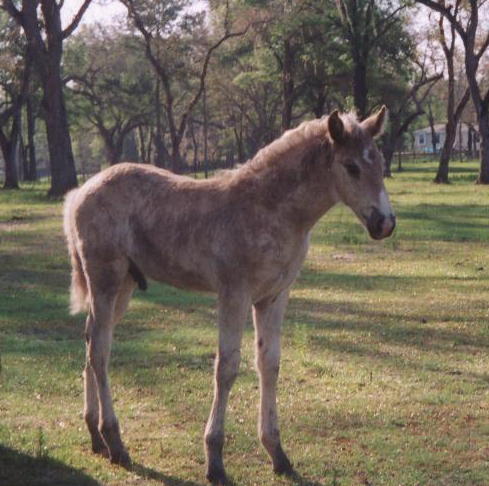 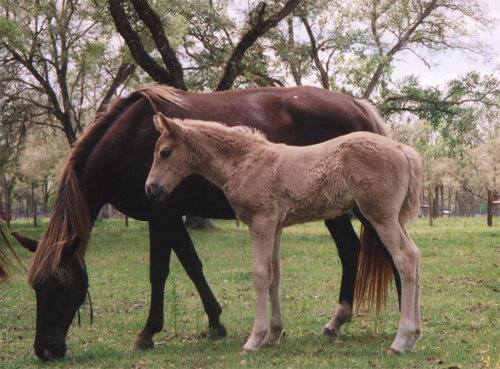 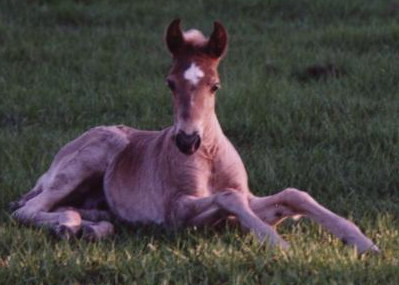 The foals are imprinted at birth and will follow you anywhere. 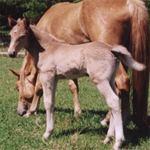 From the imprinting and the temperament of this breed you can almost immediately clip, load, trim, brush, bathe and vaccinate them. 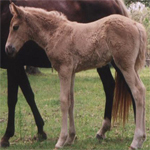 Some of our customers have selected their favorite mare and stallion and created their own Mountain Horse foal. 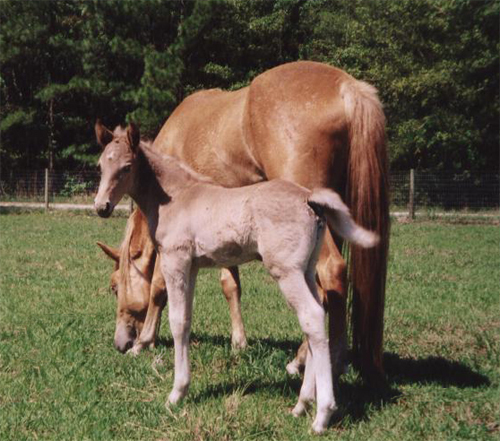 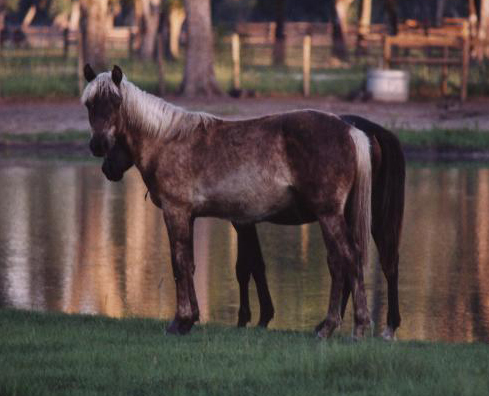 Others have selected the unborn foal of a mare already in foal and attended the birth or otherwise been part of the initial imprinting process. 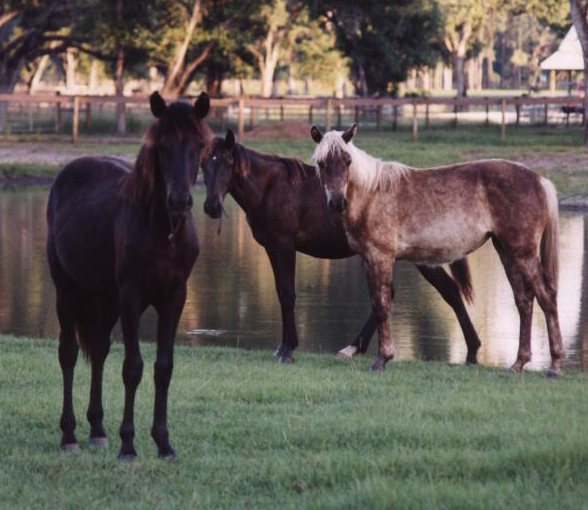 Your own imagination is the only limitation to what we can help you create and enjoy. 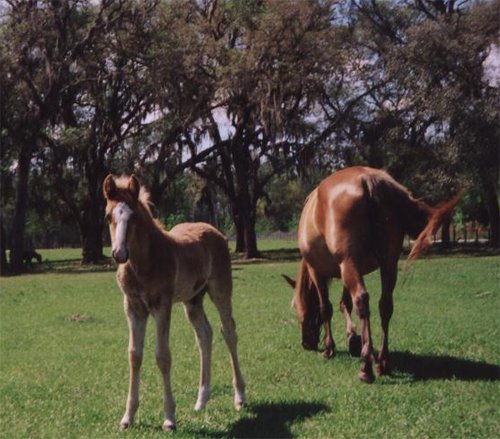 Below is an example of some of our foals. 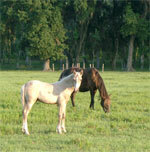 Please call to find out about foals still unsold.